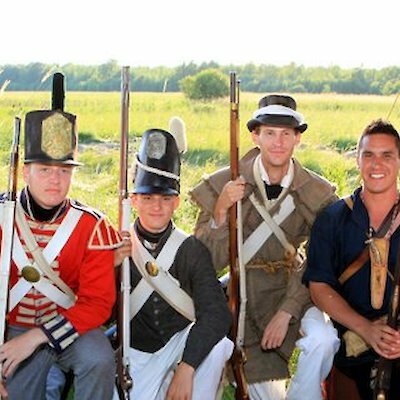 The Battle of Chippawa fought on July 5th, 1814, was the opening engagement and one of the bloodiest military operations of the War of 1812-14. 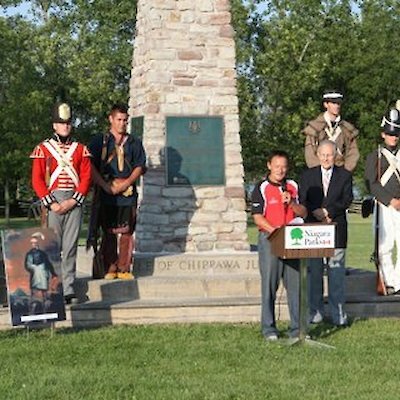 This battle will be remembered when a commemorative ceremony takes place on July 5th at 7 pm along the Upper Niagara Parkway. Here you’ll find a restored pristine park which pays tribute to the 200 or so American, British, Canadian and Native warriors who lost their lives that day. An interesting fact about this battle is due to a shortage of cloth, the Americans force wore grey uniforms instead of the usual blue. To this day, tradition says West Point cadets wear grey uniforms to honour those who fought in the battle. There is no fee to attend the ceremony. Here are a few photos that I took at the 2011 commemorative ceremony.